Rugs add that special touch to your home that is missing otherwise. These days there are so many options out there. Every day a new collection launch. Choosing the right one for your needs has become a daunting task. Do you feel the same? Then you are at the right place. To help you with this, I am writing this article. In it, you will get a complete buyer’s guide on rugs. Once you read this, you will have the necessary knowledge to find out the very best. When you are buying rugs, you need to keep three aspects in your mind. They are quality, size, and look. The first thing you should think about is the quality of the rug. Every rug has a different quality concerning their material and manufacturing techniques. Some are more durable, others feel more luxurious, and many have some other better qualities. Let’s look at the top ones among them. The rugs that are the most durable are the ones that are handmade with wool. 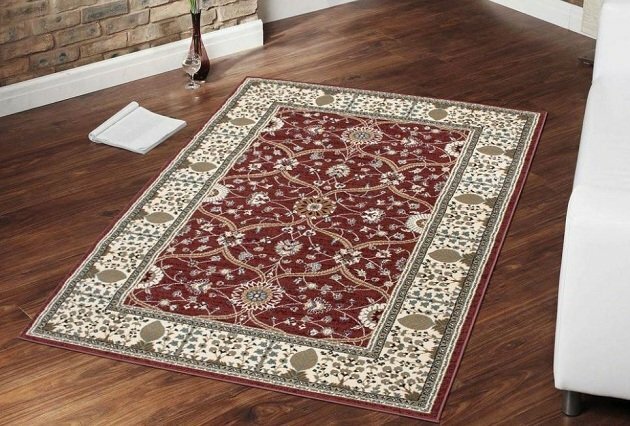 Hand-tufted and hand-knotted ones are among the very best in this category. However, they are quite expensive. Rugs with shorter pile heights also last longer than the ones with higher piles. Those rugs often appear matte and dented. If you want durability, avoid rugs made with synthetic and cotton materials via machine. Their longevity is not very good at all. You will end up changing them pretty often. Tufted and hooked rugs made with silk and wool are the most luxurious ones out there. Among them, silk feels, even more, premium, but it is not much durable. On the other hand, wool is a little less soft but is more durable than silk. Cotton is also a cheaper and durable option. They feel quite soft as well. Sisal and jute do not serve this purpose as they feel coarse to the touch. Synthetic is also not a good option. They look and feel quite artificial. Do you have a lot of people in your house? Then go with the knotted or flat weaved wool rugs. The reason they are go-to choice in this is they have resilient fibers. So, when you step on them, they spring back, giving you a better and softer feel. This helps them to withstand more wear and tear as well. In addition, cotton and synthetic rugs are also apt for this purpose. They are easy to clean, durable and you can even get a reversible version. On the other hand, silk rugs are so delicate and should not be used frequently. Jute and sisal are prone to staining, ruling them out of the game. In addition, synthetic high pile rugs flatten pretty easily. As a result, they do not serve the purpose as well. If you live somewhere with a humid weather, you would want a rug that can withstand moisture. Synthetic and wool are the best options here, especially woos with flat woven styles. They are water repellent by nature. Synthetic rugs also do not absorb the moisture. High pile ones are susceptible to humidity. Also, silk and jute absorb moisture at a high rate. So, you shuld keep in mind that before making final decision. If you are worried about your children staining your precious rug, go with the ones that are made of wool, synthetic, and cotton. Also, choose low to no pile weaves at all. Wool resists stain naturally. Cotton and synthetic ones are easy to clean, on the other hand. Low pile weave makes sure you spot the stain in no time. Another deciding factor is size when it comes to rugs. The rug size should be in accordance with where it is placed at. Always go for a longer rug when unsure, to avoid the mistake of making your rug look like a handkerchief. The shape of your entry space will determine the shape of the rug you should buy. Depending on the space, it can be round, square, rectangular, and so on. Also, make sure to check the pile height. This would make sure the rug does not get stuck on the door when it is opened. When choosing a rug for the hallway, make sure to choose a length that no furniture leg sits on the rug. Runners are the best bet here. You should always add 36 inches to both the length and width of your dining table to choose the length of your rug. Add them to the diameter in case the table is round. This will make sure that the chairs do not sit on an uneven surface. This, in turn, would save you from accidents and embarrassments in front of others. Three general rules are present for choosing the rug size. These are the coffee table on the rug, front legs on the rug and all legs on the rug. This is appropriate for the smaller rooms. In this arrangement, only the coffee table sits on the rug. Therefore, you can get away with buying a small rug. In this arrangement, front legs of all your furniture sit on the rug. This is best suited for a medium-sized room. All legs on the rug require a larger rug. As you can imagine, every furniture in the room sits on the rug in here. The rug serves almost as a carpet. Again, there are three choices. All legs on the rug, two-thirds of your bed on the rug, and runners beside your bed. This arrangement, as you can imagine, needs a large rug. The rug would cover everything from your bed to nightstands, and everything else that is present in the bedroom. In this case, only two-thirds of your bed sits on the rug. You can afford to buy a medium-sized rug in here. 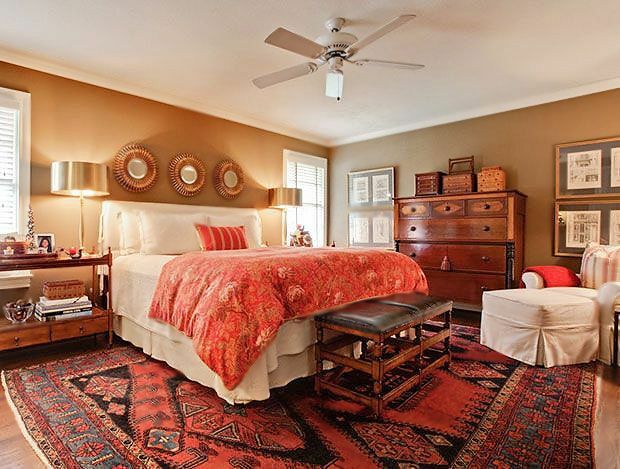 If you are not fond of bigger rugs, you can place runners on each side of your bed. Just make sure the runner ends where your bed ends and the width is bigger than the nightstand. Otherwise, it would look bad. Do your room have a galley or island layout? Then go for a runner rug. This will cast an illusion of an extended space. When it comes to looks, there is no wrong choice. It all boils down to personal preference. However, you can get confused in the vast choices. In that case, here are five looks you can consider. If you are not at all sure, it is better to stick to basics everywhere. Choosing rugs is no different. 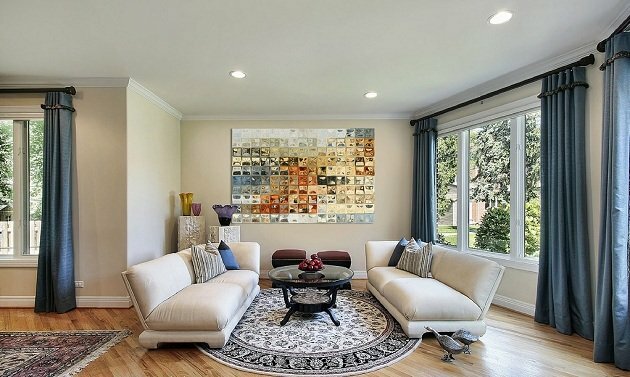 You can safely buy a solid color rug when in doubt. Also, stripes can add a bit more variation without looking out of place. These two options are great for beginners. Has a room that is full of bright and bold colors? Go with a neutral rug in a solid color. It will complement the room and do not catch attention. In addition, you can also buy a rug on the secondary color of your room. It would give the room a vibrant feel but still won’t hurt the eye. This one can be a bit tricky to pull off. However, in case you are a person who loves dynamics, go for it. If you have chosen patterns, you need to be aware of one thing. Make sure that any new pattern you introduce to the existing room should be four times smaller or bigger than the ones that are present. Do you want to be the rug the first thing people notice? There is no better way to that than this. Introduce a statement rug in a neutral kids room. Choose bigger and bolder patterns, such as paisley, geometrical patterns for the rug. Your room would never lack that lively feel. I’m a fan of neutrals. If you do not know neutral colors are, then let me tell you, these are the colors that blend easily well together. White, beige, olive, grey are colors to name some of them. So, if you are like me and have a neutral colored room, you can buy the rug in same colors. However, to keep it from boring, buy rugs with subtle patterns such as pinstripes. For material, sisal and jute are excellent choices in this aspect.